Home » » It Will Haunt Me Forever - Goalkeeper Who Witnessed Crash That Killed Leicester Owner, Speaks. It Will Haunt Me Forever - Goalkeeper Who Witnessed Crash That Killed Leicester Owner, Speaks. 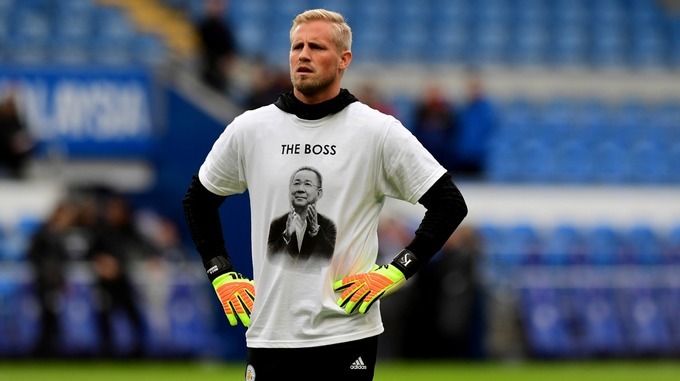 Kasper Schmeichel, the Leicester City goalkeeper has revealed that the helicopter crash that killed the club’s revered Thai owner Vichai Srivaddhanaprabha will haunt him forever after he witnessed the tragedy. According to the Agence France Presse, AFP, the 32-year-old Danish international — speaking after Leicester had beaten Cardiff on Saturday in their first match since the crash, which also killed four others — waved the helicopter off following the 1-1 draw with West Ham on October 27.